I was excited to realize that the kids preschool valentines parties were actually on different days. Isla's was on Wednesday and Connor's on Friday. This is the first time this has happened with preschool parties and I was excited because it allowed me to enjoy not feeling rushed when I was picking up each kid and I was actually able to take Isla's picture on the same bench that I used to take Connor's on (all the time) last year. Isla's class had decorated their valentines bags the week before and Isla was pretty mad when she couldn't take it home that day. 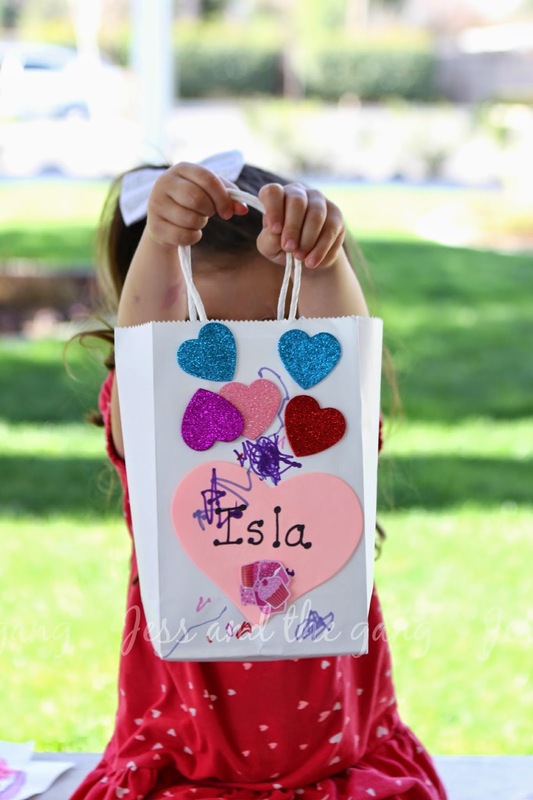 But I think all the anticipation, coupled with the fact that the bag was now filled with candy, made Isla SUPER excited to take it home after her party. ^^ Checking out her loot. She got excited about each one, including the boy ones, but her favorites were a Frozen one (shocker!) and one that had a picture of a dog with butterfly wings. ^^ Connor did this same heart last year and I love it because their answers tell so much about their personalities. Isla's answers are just so much, well, her. It says, "I like the Frozen movie. I like bananas too. I like my kitty, but I love you!" ^^ This may be my current favorite picture of Connor. 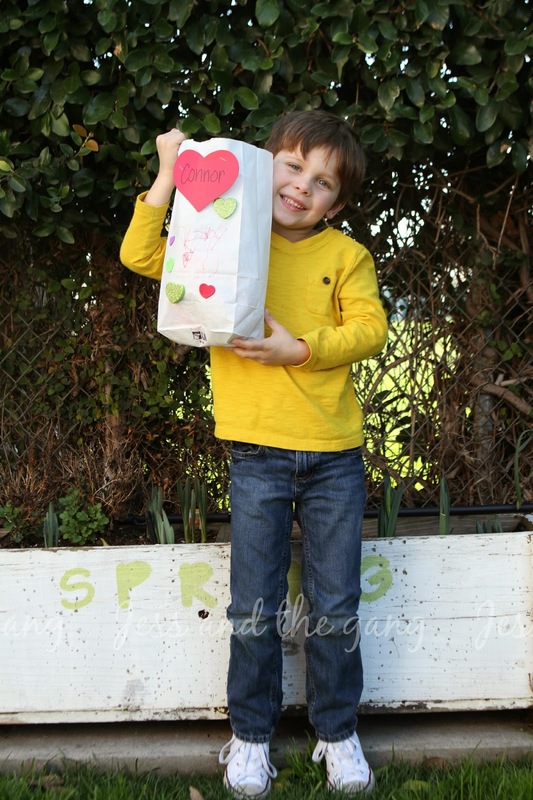 He is just looking so stinking grown up…and I love the fact that he has a real smile on his face, which I am sure is due to all the candy in the bag! 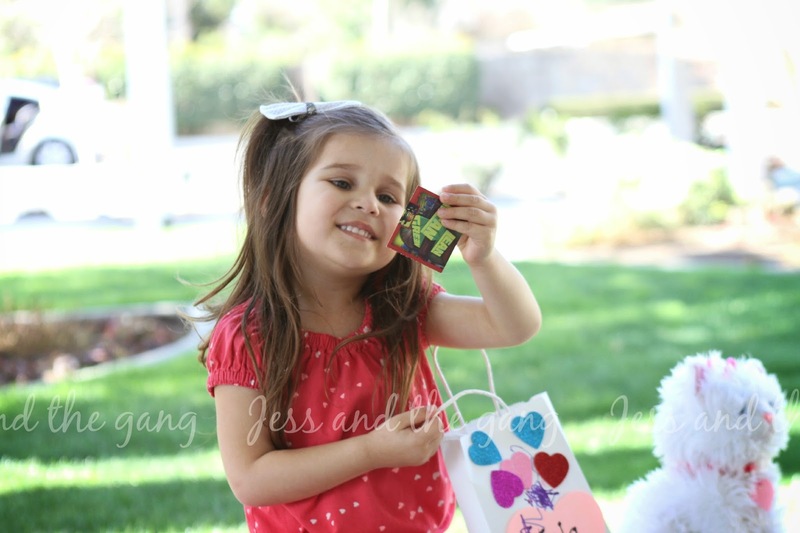 Connor convinced Isla to split all her valentines loot with him. I told him this meant he needed to do the same. I'm pretty certain both Isla and Connor were equally as excited to see what was in the bag! Isla was trying to rip the bag out of Connor's hand and Connor kept telling her no because apparently his teachers told the class they weren't allowed to open their bags until they got to their cars. 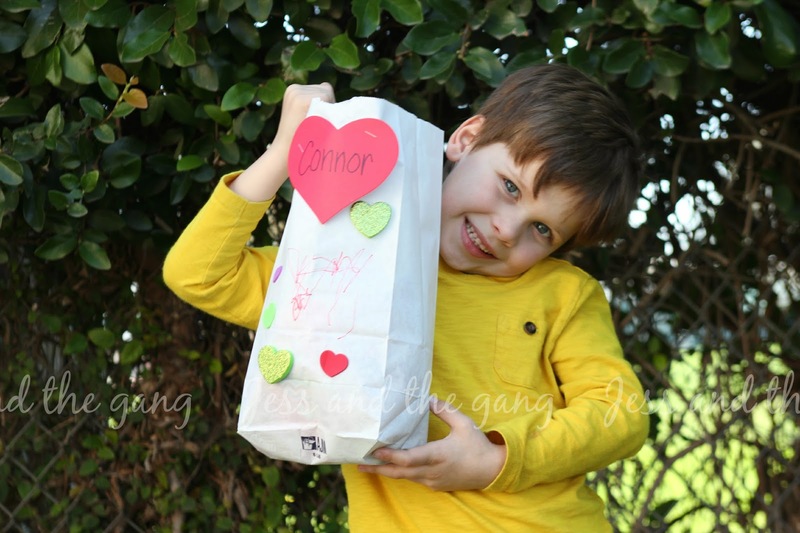 Connor was most excited about a batman valentine, that was totally pinterest worthy, so props to the mom that made that. He was also excited about every valentine that contained a temporary tattoo, which surprisingly many did. Isla, on the other hand, was excited about a princess valentine that had a pencil with it. It's so funny to see their different personalities come out even in what valentines they like better. 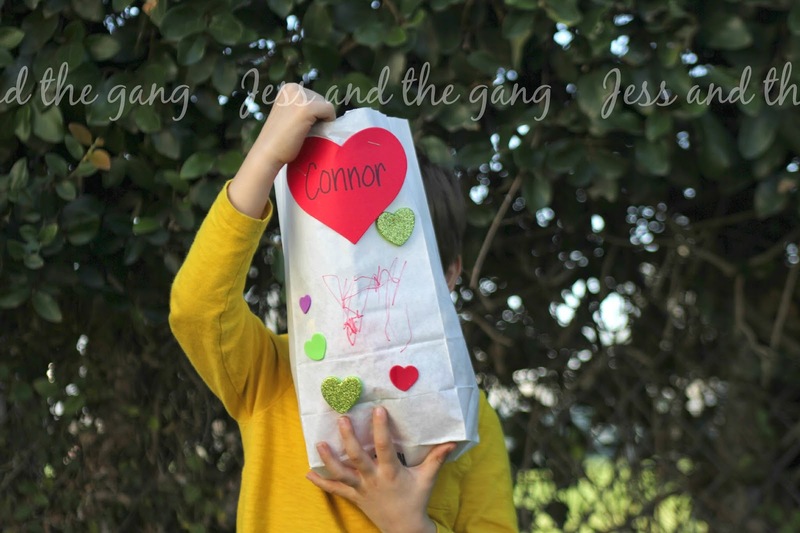 On actual valentines day, we gave the kids each a small present, to which Connor responded, "You're so cute mom, that was nice." He is obviously picking up on how I talk!!! We had a nice, chill valentines day around our house. Isla is quite the artist. 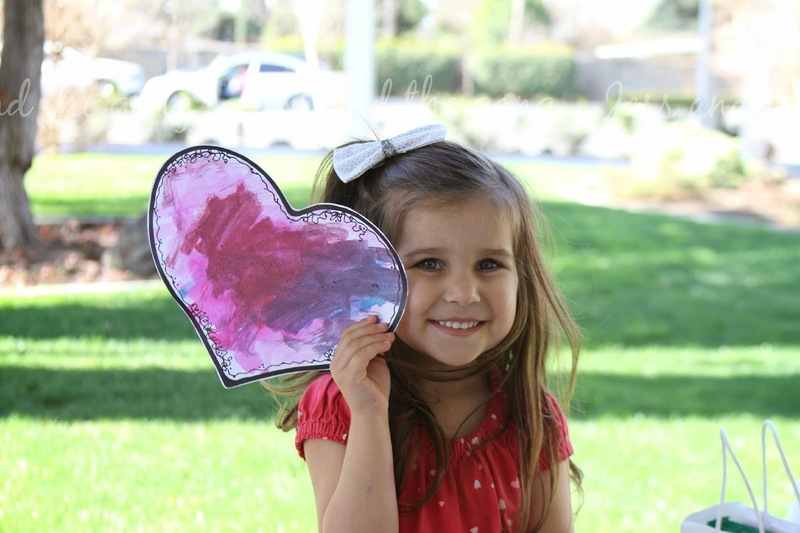 From the thumbnail - Isla's painted heart looked JUST like a stained glass window. I was taken aback. Wow. That's so fun that you get to take the same picture of the kids in the same spots. You know, I love me some comparison pictures. I can't get over how grown up Connor looks. Sweet boy! Your children are adorable! :) We celebrated our first Valentine's day with our 7 month old last week - his art work wasn't quite as precise!! Randomly came across your blog, but will keep up to date with your adventures!